Internet labor markets provide new avenues for finding and hiring workers. How does this affect the way an entrepreneur can organize his/her labor force? How can we use and design these markets to achieve the most good? These questions and more will be answered in this research lecture and discussion. Bobby Pakzad-Hurson, Jonathan M. Nelson Assistant Professor of Economics and Entrepreneurship will lead the lecture and discussion. 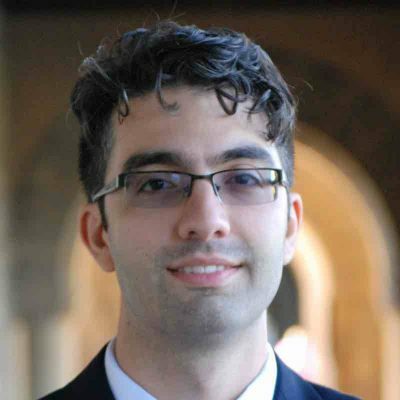 Professor Pakzad-Hurson conducts research in market design, combining theoretical, experimental, and empirical analyses to study internet marketplaces. He currently teaches ECON 1490: Designing Internet Marketplaces. SOLD OUT! Please RSVP to be put on the waitlist. The Entrepreneurship Research Seminar is an interdisciplinary speaker series based at the Jonathan M. Nelson Center for Entrepreneurship. The seminar seeks to bring a diverse range of scholars and practitioners to Brown to present novel research and thinking on the trends and challenges of national and global entrepreneurship. The seminar draws on faculty associated with the Nelson Center for Entrepreneurship and a growing community of graduate students at Brown. The seminar is directed by Dr. Jennifer Nazareno.